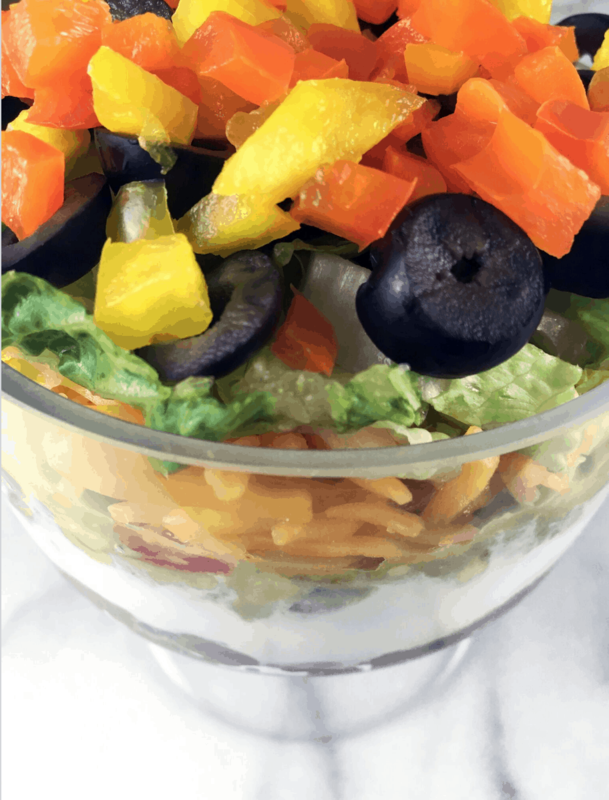 Here’s a great appetizer or snack for you to enjoy this summer and beyond! Who doesn’t love a guacamole and cheese combo? 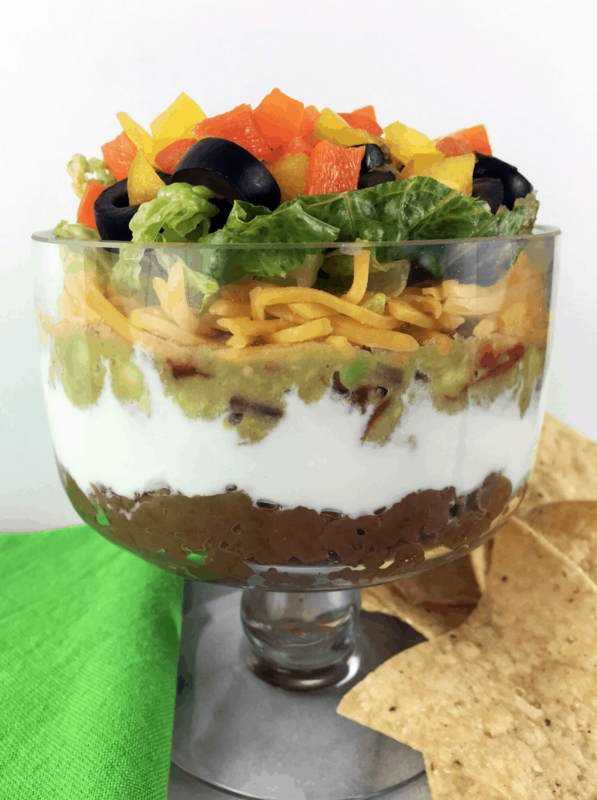 1.Using an individual serving dish, such as a mini trifle dish, layer ingredients as follows: refried beans, sour cream, guacamole, cheddar cheese, lettuce, black olives, and yellow/orange peppers. Want to see a video of all of this in action? Check out my Facebook page!